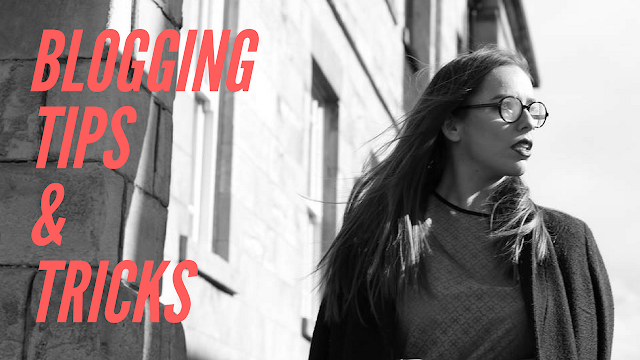 Hello, So today I'm basically talk to you about 'Blogging Tips and Tricks'. Hopefully this helps a few people, it helped me and if it doesn't then I am sorry. Let's get started. Find what type of market you want to be in. I adore anything to do with Fashion and Makeup. I studied both fashion and makeup courses whilst growing up. So I feel like I have experience in this area. I am into bold print but also girly girl items. Find what you are passionate about and write about it. That's what I did and boy do I enjoy what I do. If it was something you have doubts on, don't post it until your certain. Have a theme that runs through your work, I am speaking from an Instagram point of view here. When I started my Instagram, I loved it. I loved the colours and the way I took my photos, but as I have gotten older, my sense of style has changed, the way I take photos has changed so I decided to give my Instagram and big makeover. It deemed to much to start posting my new style on the one with my old style. So I just created a new Instagram, until the following builds up on that site, I will keep my old one. My theme is neutrals, greys, white, navy. I love it, I also post in a system of selfies, outfits, accessories, food, view and photo shoots. This goes for the photos on my blog to. When you write, always write from your point of view, I have read a few blogs in the past that write all about the product or the clothes and its not their writing. Be authentic, if you disliked a lipstick say why, if you loved a coat say why, if you were unsure on a pair of shoes that had embellishment, say why you are unsure. If you write like you are telling a story then make sure its you and no one else. When I read blogs, I base it on, if I'm having a conversation with someone. If I like their style. Photos. I always like to angle my photos and do flat lays. When it comes to eating out, I always make sure that I organise the table in a way where I can take a photo and then when food arrives, I merge the food in with the organisation and bam I take the photo. Posing. If you are posing for a photo, do the leg lengthen trick. I love it because I am a short person. I simply stick on leg out in front on an inverted angle, I stand on my tip toes to make me look a little taller and I sink into my back hip a little bit. Voila a perfect standing pose photograph. Editing. I always use an app called FaceTune to edit photos for Instagram because I can whiten backgrounds, change colours if I am unhappy with the colours, I just make it fit with my theme basically and I love it. I got this idea from Carly Cristman on her YouTube channel. I came across her channel when I found her break up story video and then found her instagram, I loved how she took her photos and the style/theme she would go for. So shout out to Carly for the inspiration and her videos.